The Boost Training & Support package is designed to make technology more accessible to your organization through education. With Boost, you are able to receive a growing list of services and offers with a value of at least US$2,000 for one whole year. These services include expert consultation, access to online learning resources such as courses and webinars, event passes and access to free software. These services are available to all organizations of any type or size, and are designed to help organizations to address any unique challenge they may be facing. Access a package of essential software designed to boost your communications within and outside your organization from Box & Microsoft. The items listed above are the minimum features included in your Boost Package. We will continue to add more items to your package as we move forward. To learn more about the specifications of each service or feature, kindly visit the links for each Boost Service/Feature indicated above. 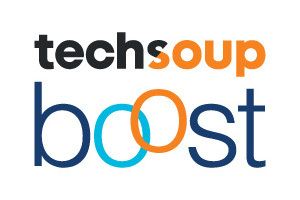 Once TechSoup approves your request, we will email you instructions on how you can claim each of the services and features included in your Boost Training & Support Package. Any eligible organization can request for unlimited Boost Training & Support Packages. Services and features obtained from additional packages purchased will be added on the existing services and features that have already been purchased. Your Boost Package's features can be claimed anytime within 1-full year beginning on the day of payment. The package will expire after one year and you would be required to purchase the package again in order to access Boost's features and services for antoher year.